Model fans are rewarded with a more intimate view of a model’s life than ever before. With the introduction of social media, models have become major celebrities who offer their fans tips and tricks to mimic their looks and style. Thanks to this fascination into the lives of models, books about models and the modeling industry are more popular than ever before. Modeling books range from instructional to visual, ensuring there truly is something for everyone. You likely know Nigel Barker from his days on the hit TV show America’s Next Top Model or his work as an acclaimed fashion photographer. 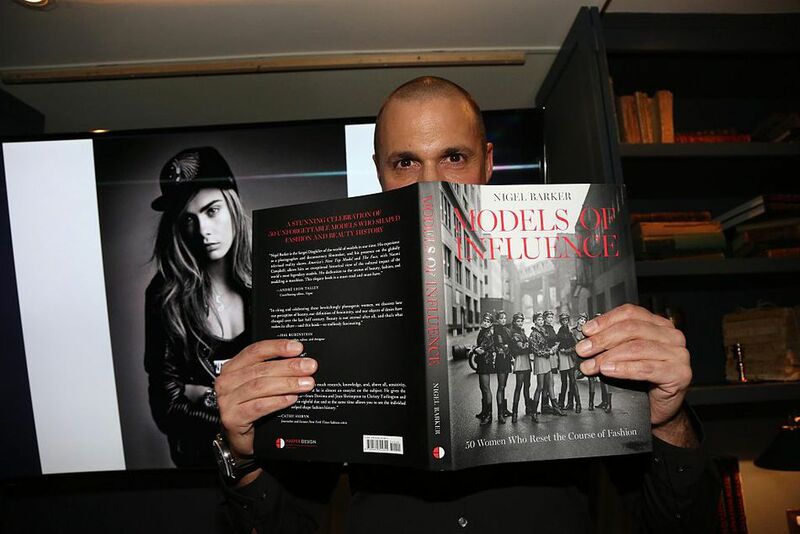 His book, “Models of Influence,” is an essential resource for learning about the history of fashion modeling, dating back to the 1940s. He organized the book into eight different eras and had to narrow down the models for the book to just 50 of the most influential. His choices include Cara Delevingne, Carmen Dell’Orefice, Iman, and Christie Brinkley. The book is a perfect gift for a model and fashion lovers alike, and when it isn’t being read, it looks great on your coffee table. A book from the Metropolitan Museum of Art is sure to be visually pleasing, and "The Model as Muse,” published in 2009, does not disappoint. The book offers a historical perspective on the changing nature of feminine beauty, and it features stunning mementos from the early twentieth century onward. Not only does it cover modeling history, but it also shares glimpses of haute couture from top fashion houses throughout history. Known as the “Queen of Posing,” a name she got from none other than Tyra Banks, Coco Rocha is your go-to resource for pose inspiration! In collaboration with photographer Steven Sebring, the book, true to name, features Rocha flawlessly showing off 1000 modeling poses (and if you opt for the digital version, you can see each pose in 3D!). If you’re currently a model or aspire to be one, this book is a total must-have! With 1000 poses to choose from, you’re sure to find something you haven’t tried before that will take your photo shoots to the next level. Aaron Marcus is America’s premiere acting and modeling coach. With an impressive acting and modeling resume himself, he knows his stuff and generously shares it with other actors and models. His book, “How to Become a Successful Commercial Model” is regarded as the “ultimate cookbook" for a successful commercial modeling career. It covers everything from getting the right photos of yourself, to submit them to the right people, marketing yourself as a commercial model, and more. It is a must-have for any aspiring model. Supermodel is synonymous with the name “Cindy Crawford,” and that’s for a good reason! Crawford turns 50 in 2016, and to celebrate; she released her book “Becoming.” The book covers her rise to supermodel stardom, as well as giving aspiring models advice and delving into her, past. Because of Crawford’s undeniable fame, the book is a good read even for those who don’t have much knowledge of the fashion and modeling world. Cindy fans will also enjoy her 1996 book “Cindy Crawford’s Basic Face,” in which she teams up with renowned makeup artist Sonia Kashuk to demonstrate just what to do to make up your face like a model. Created by Kate Moss, in collaboration with creative director Fabien Baron, Jess Hallett, and Jefferson Hack, Kate Moss' book is a highly personal retrospective of her career, tracing her evolution from “new girl with potential” to one of the most iconic supermodel's models of all time. Often held responsible for starting the "waif" movement in the modeling industry, At just 5' 7" Kate Moss broke stereotypes and became a giant among other Amazonian supermodels like Naomi Campbell, Christy Turlington, and Claudia Schiffer. The Kate Moss Book is a gorgeous collection of iconic photos and photos that have never been seen before that Kate shares with her fans from her own personal collection.